Temasek Club Singapore Film Festival 2015 - Temasek Club NSW Inc.
Singapore’s film industry, though smaller than many others, is an emerging gem that is continually producing world class talent. In 2013, Singapore produced its first Cannes winner (Camera d’Or award) with the film Ilo Ilo. In 2014, 4 films are represented in the Cannes Festival. Despite this, Singapore films remain conspicuously absent from the vibrant and thriving Sydney Art and Theatre community. In launching the inaugural Singapore Film Festival (SGFF) Sydney, the organisers seek to address this by promoting to a Sydney audience what Singapore film makers have achieved in recent times while championing home grown Singapore talent. While the organisers are enthusiastic and keen to see this project succeed, this cannot be achieved without suitable support of additional resources that would come from outside sponsors. Unknown to many, Sydney is one of five appointed cities in the world that is part of the UNESCO City of film. The UNESCO Creative Cities Network is a network aims at developing international cooperation among cities to promote cultural diversity and sustainable urban development. It brings together 69 cities from 32 countries that have identified creativity as a strategic factor for sustainable urban development. Film is, and has always been, a core part of Sydney’s vibrant culture. 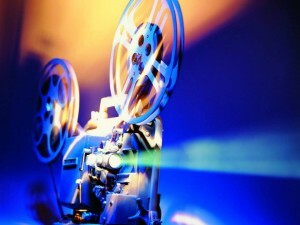 The film industry welcomes cinema of all cultures and aim to promote diversity beyond its territory. The large density of film festivals as well as partnerships with other cities throughout Australia characterizes Sydney’s film scene. A total of 19 festivals (inclusive of special interest groups) are scheduled to take place this year within the Sydney region. This festival aims to captivate the interest of various communities and groups centred around the movie enthusiast Replica Handbags, people who are interested in Singapore and expatriates who have returned from Singapore, as well as the wider community who are interested in understanding more about Singapore, its evolving culture and growing heritage.